These appear on secondary banners and alternate being left/right aligned. 1) Make CSS selectors for each of your banners: pound symbol + your banner's slug + ":after"
These differ from icons/glyphs mentioned above because: they are clickable, are not part of the icon font, and have text. 3) Find the child element <div class="Index-page-content"
4) Get the ID of the first child. Example: id="page-5967a541579fb36b3f21fba1"
These are added by putting SVG file source code into code elements. See examples in this folder or this Illustrator source file. Combine paths with the same color into compound paths. In Illustrator use "Save As" instead of "Export". On the home page the global logo in the upper left is hidden with CSS and the logo in the center is added with a code element. 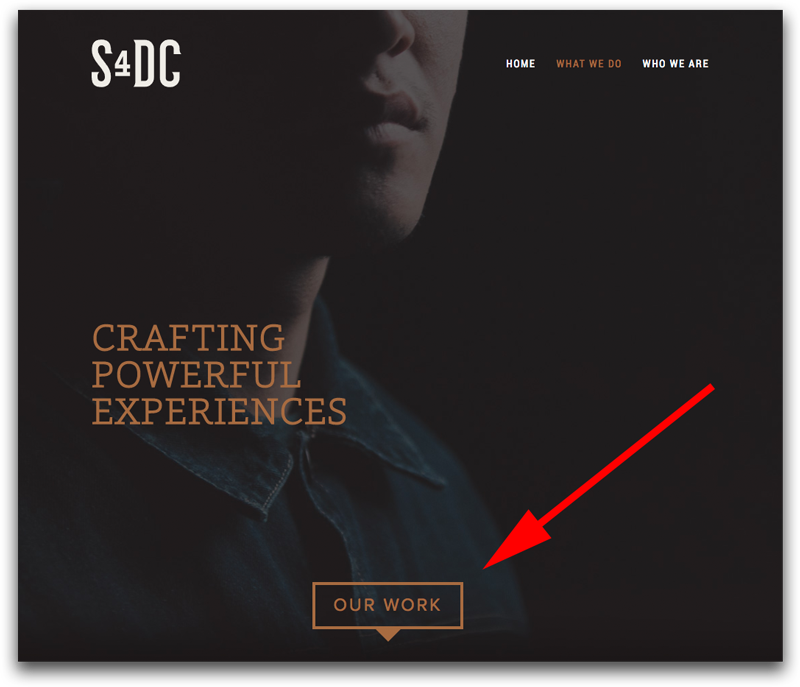 Be sure to include: class="s4dc-logo-home"
To get the URL of the SVG, it's a round-about task. In short, you temporarily link to a file, upload the SVG and link to it, click that link to open the SVG in a new window and copy there URL, then remove the temporary link. See this article for details.